The Association of Diving Contractors International (ADCI) was formed in 1968 to “cultivate and promote commercial diving, establish uniform safe standards for commercial divers, and encourage industry-wide observance of these standards.” Today, the ADCI represents more than 600 General Member Companies, Associate Member Schools and vendors from over 40 countries throughout the world who work to maintain the International Consensus Standards. Among its functions, the ADCI strives to provide continuously updated guidance for safety and industry best practices for conducting underwater operations. The ADCI has no official regulatory jurisdiction, however it is considered the industry watchdog, setting standards for various levels of commercial diver certification, as well as for commercial diving technicians and remotely operate vehicle (ROV) pilots. More advanced levels of ACDI certification require real-world experience combined with additional training. 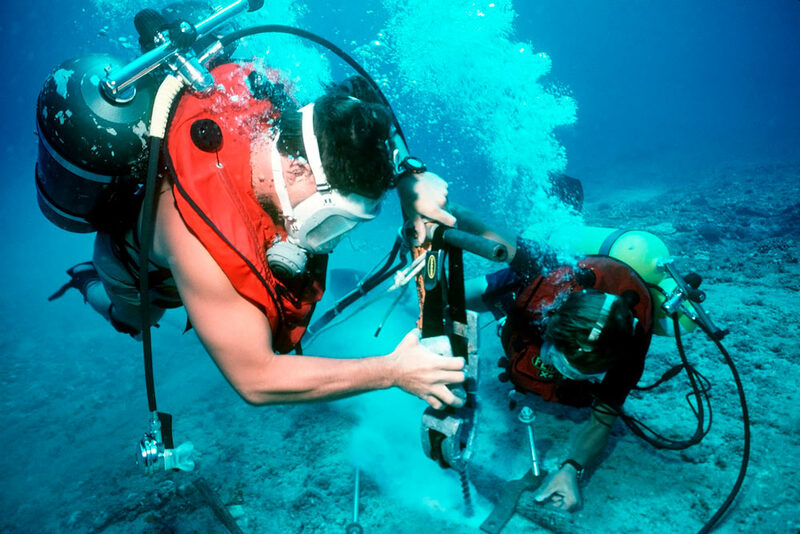 To qualify for higher-level certifications, divers must log their field experience (known as “field days”) and their commercial diving experience (logged as “working dives”). The higher-level certifications require divers to either receive additional on the job training, or formal training through an accredited commercial diving school, military dive school or equivalent. Another leading organization in commercial diver certification is the International Marine Contractors Association (IMCA), which provides guidance for certification of commercial divers and approves training facilities to offer approved commercial diver training. IMCA directly certifies air diving supervisors, bell diving supervisors and life support technicians. Many countries have their own requirements for commercial divers, so getting a job in a foreign country may require additional certifications. However, most countries now recognize IMCA certification.